H.R. 569 was introduced by Donald Beyer, Rep. VA-D on 12/17/2015 Thank God this bill is still sitting in Committee and has not moved. The very same Loretta Lynch, Attorney General vowed to prosecute those who use 'Anti-Muslim" Speech that "Edges Toward Violence. As with most things in dealing with our government there was no additional information given as to what THEY considered 'anti-muslim'. This all was the following day after the horrific shooting spree by which we now know was a radicalized Muslim man and his partner in San Bernardino, California. I encourage everyone to sign on to www.gov.org to get yourself updates on all legislation being passed and or presented. Hamas is a Palestinian Sunni-Islamic terrorist organization created by the Muslim Brotherhood (who is also the arm of Al-Qaeda).Officially Hamas plays on Leftist ideals in efforts to gain public support to recruit terrorists and gain international sympathies for their ‘victimization’. Internally the Hamas has consistently stated intentions of fighting for a singular Islamic state, whether it is in Israel with a complete extermination of Jews, or beyond Israel in other non-Muslim nations.Hamas provide social care to Hamas supporters on the condition that they pledge alliance to Hamas. 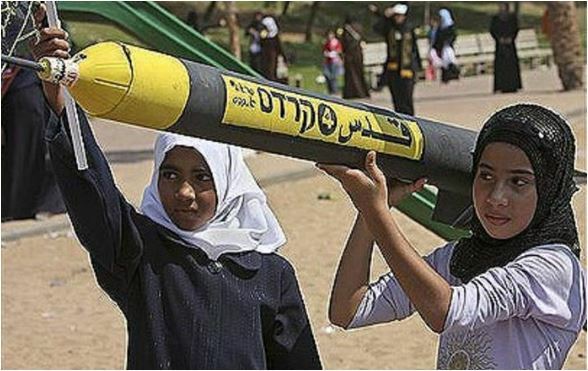 Children who attend Hamas funded education can only do so if parents sign oaths of allegiance.Indoctrination of antisemitism and extremism with glorification of suicide martyrdoom is commonly taught to children by Hamas. It has a social service wing, Dawah, and a military wing, the Izz ad-Din al-Qassam Brigades, and, since 2007, has been the governing authority of the Gaza Strip. Hamas (Arabic: حماس‎ Ḥamās, “enthusiasm”, an acronym of حركة المقاومة الاسلاميةḤarakat al-Muqāwamah al-ʾIslāmiyyah, “Islamic Resistance Movement”) is the Palestinian Sunni Islamic or Islamist political party that governs the Gaza Strip. Hamas has a military wing, the Izz ad-Din al-Qassam Brigades. Since June 2007 Hamas has governed the Gaza portion of the Palestinian Territories, after it won a majority of seats in the Palestinian Parliament in the January 2006 Palestinian parliamentary elections and then defeated the Fatah political organization in a series of violent clashes. Israel, the United States, the European Union, and Japan classify Hamas as a terrorist organization, while Arab nations, Russia, and Turkey do not. Funding GAZA is funding HAMAS! There is no other way to look at it. One dancing route of funds is from the United Nations. It is important to protect innocent Palestinians, however with GAZA under the control of HAMAS, you have to ask if any of that money is reaching the people it is intended for or HAMAS. Despite repeated promises to cut off funds for Hamas, international aid organizations and many countries kept on sending money to Gaza, purportedly for humanitarian aid. The United Nations Relief and Works Agency, the U.N. agency for Palestinian refugees, raises money for Gaza through its Web site, with payments going through WorldPay (part of theRoyal Bank of Scotland Group ), the Arab Bank PLC in Gaza and HSBC in Amman, Jordan. Those funds come in addition to UNRWA’s annual budget of $400 million. Under federal law the US is prohibited from funding Palestinians with military aid - however the funds being sent through the U.S. Agency for International Development (USAID) has provided the Palestinian people with some indirect economic assistance through funds distributed to U.S.-based NGOs operating in the West Bank and Gaza. According to the CRS report, "Funds are allocated in this program for projects in sectors such as humanitarian assistance, economic development, democratic reform, improving water access and other infrastructure, health care, education, and vocational training." The program is subject to a vetting process and to yearly audits...The problem still exists that the money is not reaching the people for their needs - Hamas side steps. US government FY 2014 amount through USAID $250.9 million. Amnesty International wants all aid to Israel to stop because they state the aid to Israel is killing Palestinians. How about the aid from other countries going to GAZA/HAMAS? Can they prove who killed the people in Palestine - Israel or HAMAS and if HAMAS was not in control of GAZA I would not even be asking that question. Obama Executive Orders: EO 13603- If martial law is declared, Obama can send police to your home to take you guns, food, shelter. You believe sending your children to a Gulen Charter school is the right things to do? Do you think their is just a possibility they might be being indoctrinated into Islam? Fethullah Gulen is the founder of the Gülen movement (known as Hizmet meaning service in Turkish). He currently lives in self-imposed exile in the United States, residing in Saylorsburg, Pennsylvania and brought here by the CIA. Gülen teaches a Hanafi version of Islam, deriving from Sunni Muslim scholar Said Nursî's teachings. 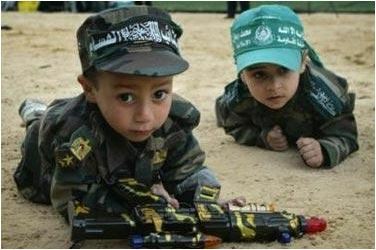 January 2013 - Hamas Prime Minister Ismail Haniyeh announced Thursday that the new military academy, the first of its kind in the Gaza Strip, would prepare the children for the “phase of liberating Palestine.”He said that children in grades 7-9 could join the academy and graduate with a Diploma or Bachelor of Arts in military affairs. Haniyeh was speaking during a ceremony in the Gaza Strip marking the birth of Prophet Mohamed. More than 10,000 schoolchildren attended the ceremony, which included a “military parade” by some of the teenagers. He said that he has instructed the Hamas-run Ministry of Education to lay plans for the establishment of the military academy. The decision to establish a military academy follows Hamas’s announcement that it would create its own “Defense Ministry” in the Gaza Strip.